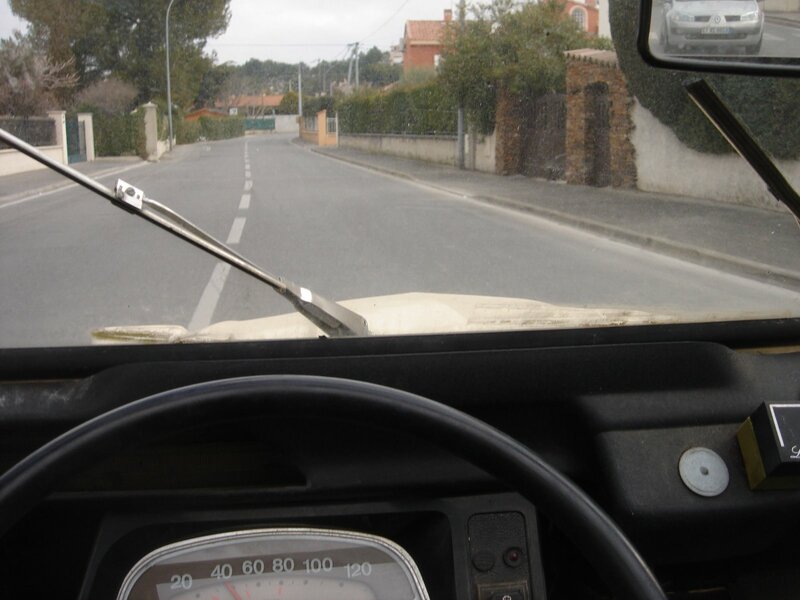 >Road test: 1978 Citroen 2CV4. 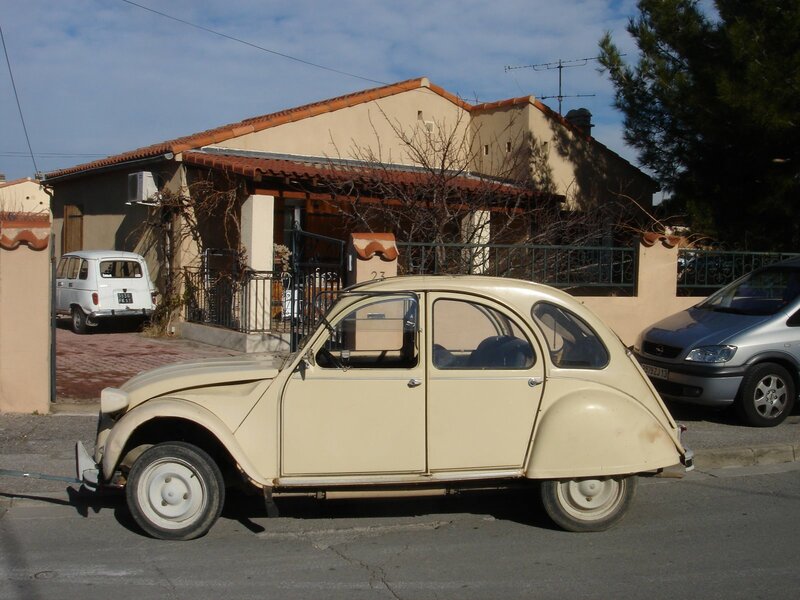 The Citroen 2CV has been an icon of the French automotive industry since the 1950s. Citroen started working on it in 1935. By 1939 they were already testing prototypes. WWII hit and France fell in 1940, Citroen dismantled the prototypes to hide them from the Germans. Three of those survive today. After the war, they started on it again. It was finally introduced in 1948. At that time, it was called an umbrella on wheels. Ugly and slow, the press wasn’t singing its praises. But it caught on fast and stayed in production until 1990, essentially unchanged (save for some minor restyling, engine upgrades and interior changes). One has to see this car to get an idea of just how basic it is. Throughout its production run, it never got rolldown windows. The front windows flap up and the rear windows don’t do anything. While in some South American markets they eventually got a metal roof, in Europe they were all delivered with a canvas top (which is missing on this particular one). Turn the key in the ignition and flat twin comes to life. But wait! What if it doesn’t? What if the battery is weak or the starter is dead? No problem! Turn the ignition to “on”, get the crank from the trunk, prop up the hood and crank start it. The gearshift is interesting, it goes through the firewall and down into the transmission, much like a Renault 4’s. It’s a bit strange to get used to at first but you get the hang of it pretty quickly. Pull it left and back (first gear) and let off the clutch, it slowly starts to move. I should talk about the engine before going any further. 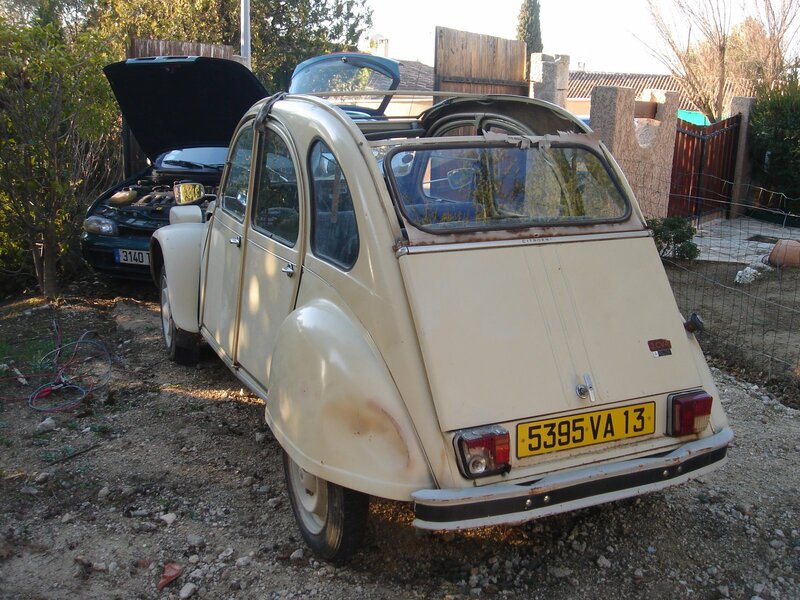 This is a 2CV4, they also made the 2CV6. One might think that stands for four and six cylinders but no, it’s to differentiate the 435cc from the 602cc. Both air cooled, both flat two cylinders. Needless to say, you won’t be breaking any speed records in this car. Because of the lack of power, the engine is always working hard, no matter what speed you’re driving at. Despite that, it still gets around 40mpg. According to magazines from the era, it’s supposed to be good for around 110km/h (~70mph) I’ve not personally tried this and I’m more than happy to take their word for it. Thanks to an interesting suspension setup that links the front and back wheels on each side, the ride is very bouncy but very smooth. It also makes for a lot of body lean which can be a little scary if you’re not used to it. The front seats on this particular car is a bench seat covered in vinyl. Other cars were available with two separate seats and/or with cloth. Either way, if you have a passenger, your shoulders will be touching. When looking at the interior, one has to keep in mind this car was designed in the 1940s. Everything is basic, there’s no glovebox, etc. The instrumentation is limited to a speedometer, a gas gauge and a voltage meter. But, for being such a primitive design, it’s surprisingly comfortable. 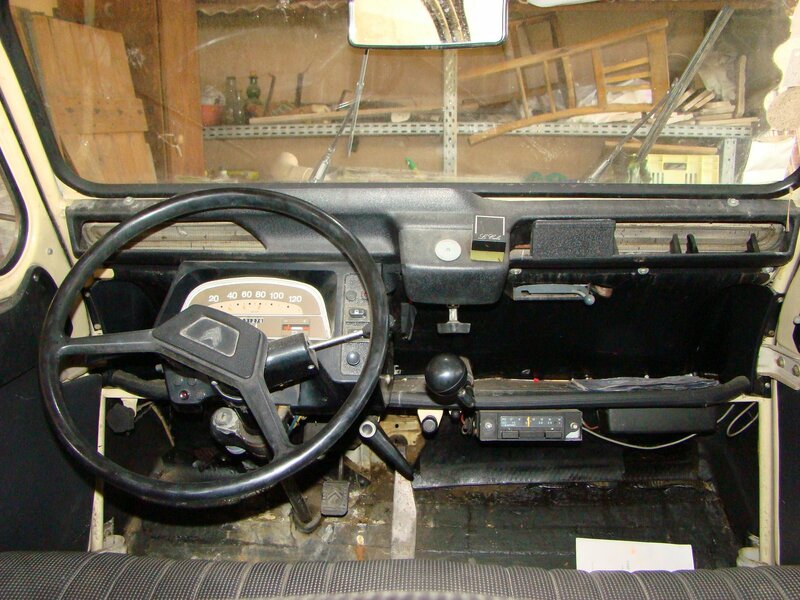 Even when this car was new in 1978, it was a very dated design, both the exterior design and the interior ergonomics. Thirty years later, it’s even moreso but that’s the charm of it– it’s something else entirely. There’s nothing quite like it out there. It’s a “love it or hate it” thing; you can guess which camp I’m in. Note: this car is a work in progress, it needs cosmetic work, which you can see in the photos. >This looks like the quintessential Babar-mobile. -Brandon Z. >I used to own a Citroen Ami8.They hade basically put a new hull on the chassis of 2CV 6 and that was it; the engine being essentially the same ( 602 ccm two pistoned boxer ). Besides some cosmetical upgrades and a metal roof resulting in as much more aerodynamics to allowe for the speed of 120 km per hour ( only when you're alone in a car and the road goes slightly downwards )everything was pretty the same. I must say I absolutely loved that car. It was enormous fun to travel to the sea shore in the summer, ventilation being more than efficient on a hot day( on one ocassion a dried frog which I picked from the road with the front wheel had been flung onto a front passenger seat.It was however bitterly cold in winter days and a pair of leather gloves were necessary to handle somewhat rude stearing wheel which required some strength ( not for fragile little ladies ). Nevertheless I loved this car, it was definitely something very special ! 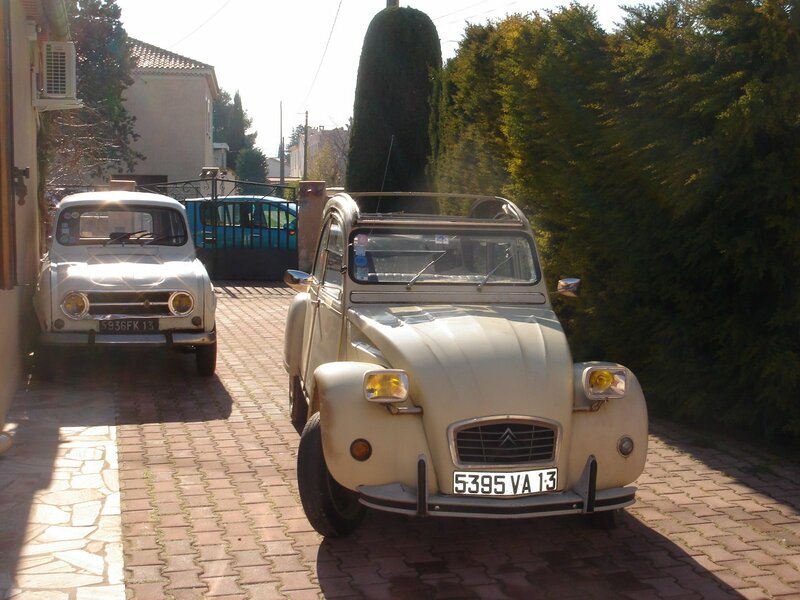 Owned a 2CV4 almost 30 years ago, now in process of finding one again (maybe a ‘6). There’s something so honest and right in these voitures, they make almost every other car look ridiculously over-engineered and pompous. 6s are not too bad to find in France but they’re getting horribly expensive. How would you say that compares to Feance? Roughly similar?